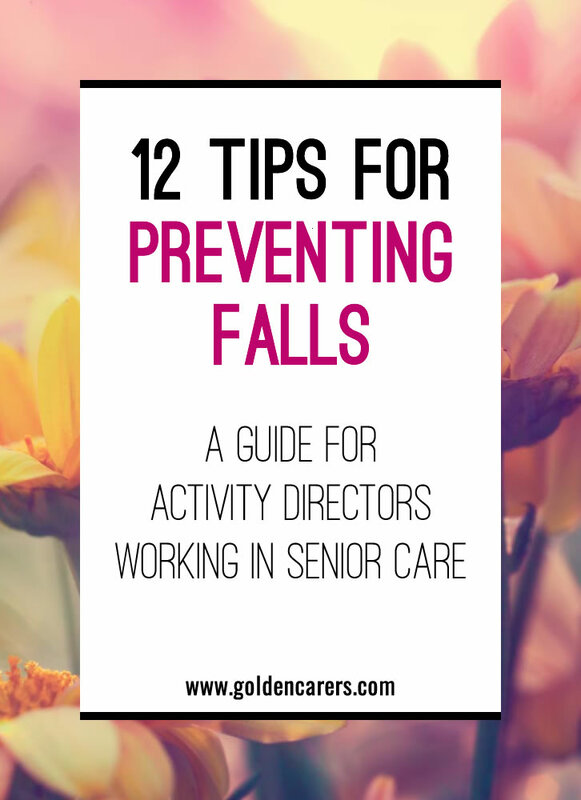 Falls can cause serious injuries and significantly impact the quality of life for elderly citizens. Although it is impossible to prevent all falls, there is much that can be done to reduce the risks. Responding to Falls - What should you do? "Golden Carers is a perfect site for those of us who are in regular contact and coordinate activities for the elderly. Becoming a member of Golden Carers was the best investment, Great work, keep it up." I appreciate the time and effort you put into finding and creating activities for seniors. I especially appreciate the freebies as I am a volunteer which implies I do not receive a paycheck so I really count on the free items your site offers and put them to good use at the PC and Dementia facility I volunteer at.